This week, the “Oslo Science conference” the largest conference ever -it was claimed – was held on polar sciences at Lillestrøm, just outside Oslo. Some of the web-casts from that meeting are worth watching, and I found especially the talk by David Barber (“On Thin Ice: The Arctic and Climate Change”, video link here) both a bit alarming as well as fascinating. Storms and snow affect sea-ice growth, since a layer of snow on top of the ice insulates against the cold atmosphere and prohibits ice growth. Winds and extra mass can lead to break-up, and the amount of multi-annual ice is lower than expected; it has decayed and ‘rotted’. A mission with the Canadian ice breaker apparently managed to break ice slabs much thicker than expected, due to weaker ice. Also more recent reversals of the Beaufort gyre, unexpected long swells, and new ice on top of clumps of old ice fooling the satellites to think there is more multi-year ice than really the case, are just part of the story. In the mean while, the sea-ice for this season from NSIDC is on a low note. The main message that I took home from this was that the sea-ice is more important than I previously thought. It appears clearer now that it plays a role in the Arctic amplification – which clearly is really emerging. Some claim that reduced sea-ice can explain cold winters in the northern hemisphere, but I’m not yet convinced. The cold winters are due to weak Arctic Oscillation, and hence a shift in the air masses bringing frigid polar southwards, and this air is replaced by milder air in the polar region. Hence, a shift in the wind system as well as milder temperatures may favour less Arctic sea-ice. The Antarctic sea-ice cover has increased on average in the last 30 years, but not everywhere. Both the general increase around East Antarctica and the large decrease off West Antarctica are attributed to the ozone hole and corresponding changes in the Southern Annular Mode (SAM, or the ‘Antarctic Oscillation’), though this probably doesn’t explain what is happening in winter. There is no clear polar amplification observed over Antarctica, such as seen as in the Arctic, and one explanation for this may be that the Antarctic continent has large ice sheets with enormous thermal inertia. But ice core data suggest that there have been amplification there in the past too. Nevertheless, the Arctic is characterized by a polar ocean with retreating sea-ice in the northern hemisphere. In both cases, changing air masses and the winds are important for inter-annual to inter-decadal variations, both in explaining cold winters over Eurasia and sea-ice around Antarctica. Video link of Dr Barbers TV session is not working. http://ipy-osc.no/live Friday first one for those who want to watch it. That was indeed interesting and a bit alarming to watch..Thank you for bringing this to our attention.. Your link here links back to the RealClimate home page. ““On Thin Ice: The Arctic and Climate Change”, video link here)”. I found the presentation through the webcast link. Thanks much for this new post. Very interesting links. I signed up for 2 newsletters already. The video link for the Barber video doesn’t work. Let’s not forget that actual temperature data in the far north is quite limited. As the ice retreats off of the northern land masses, the shoreline temperatures rise from historical values because the newly exposed water is warmer than the historically present ice cover. Then these land temperatures are extrapolated across the pole where ice (and colder temperatures) still exists, potentially exaggerating the amplification effect. Sure. Changes in the wind system during weak Arctic Oscillation (AO) episodes will increase the heat transport towards the pole, not just directly but perhaps also by affecting oceanic surface currents. But you haven’t addressed the question: what causes the “weak AO”? The whole point is that if this is related to changes in sea-ice we have a feedback loop: reduced sea-ice –> weaker AO –> increased heat transport to pole –> reduced sea ice. In itself this would suggest future snowy NH winters are likely. The critical question, though, is whether the increase in poleward heat transport is sustainable or not. If it isn’t, and the heat store, presumably in the waters of the North Atlantic (NA), cannot be recharged fast enough, then eventually the AO will start to strengthen again allowing the sea-ice to return. There’d then be a delayed negative feedback loop in the system: weaker AO for years/decades –> depletion of heat store (NA cooling) –> stronger AO. This would allow the positive feedback loop to go into reverse: stronger AO –> reduced heat transport to pole –> increased sea ice –> stronger AO. Any delayed negative feedback in the climate system, or in any other complex system for that matter, will lead to oscillatory behaviour. I explored the issue on my blog a while back. Any internal oscillation of the climate system will of course be affected by external forcings. The government has some good links about the Arctic. and their new site Future of Arctic Sea Ice and Global Impacts. ……The exceptional cold and snowy winter of 2009-2010 in Europe, eastern Asia and eastern North America is connected to unique physical processes in the Arctic,” he says. Planetary waves may have had something to do with what was just cited, however its a lot of snowfall which causes an albedo effect which cooled down Europe and the Southeastern USA. No one should mention that it was cold last winter to any Canadian, from Arctic to Pacific to Atlantic oceans, it was the warmest Canadian winter in history. And it got colder in places like Georgia, Washington DC, Sweden and Germany because it snowed a great deal, its the reverse of what is going on in the Arctic right now, with ice melting very fast from a growing feedbach less albedo effect. So for people who thought your winter was cold and snowy, you’ve just got a lesson in albedo effects. Hansen and Rasmus love the fancy words like Arctic Oscillation, which is an observed pressure pattern over the Arctic Ocean, not particularly well explained, really not understood as to why they happen. The Arctic Ocean had much thinner ice last winter, along with the thinner ice, more leads, thinner ice means more heat from the Arctic Ocean released during the long night along with great heat injections from more numerous leads. So last winter was a warm one over the Arctic and Canada, not strictly because of planetary wave configuration, but because it was cloudy, either in the Arctic or Canada, especially enhanced by El-Nino giving more clouds, what I call ‘anvil seeding’ , bringing the joys of more snow especially for places with winter temperatures near 0 C, after all, there is more evaporation when the winter is warmer. I wanted to add what may be relevant perspective to your view. I don’t know all the contexts surrounding this, however, it may be reasonable to consider the thermal radiative force of the land vs. the ocean. Land can radiate heat much faster than ocean. So the shore measurements should fluctuate more than the sea temperatures. I realize this is an oversimplification, but I think it at least illustrates what seems to be a probable serious flaw in the argument you are presenting. And as Gavin mentioned, there are buoys deployed to measure the temps in the Arctic ocean and out on the ice flow. For an interested teacher, stuff like this is really good to have. 1986-87 here in southeastern Norway and parts of Europe. This doesn’t bode good for the possibilities to at least avoid the worst warming scenarios in the future. A lot of people seem more than ever hell-bent on denying the realities just for the sake of their quasi-religous beliefs in consuming ever more. Is it possible for Dr. Barber to post a copy here? It would be of great value for those learners like myself. Sorry Tim, bu I think your conclusions are flawed. Yes, the AMO exists. Yes, there are cycles in climatic elements. However, the sea ice is not melting so much from above as below, so the role of winds is the more minor actor here. Ocean Heat Content is the primary driver, coupled with reduced albedo. Winds do play a more dominant role wrt the transport of sea ice out of the Arctic. Also, the AMO is cyclical within a wider climate. While the AMO may cause a perceived cooling, it is only perceived. In reality, the imbalance of heat transport onto and off the planet doesn’t change because of the AMO. The AMO – along with El Nino/La Nina – will only serve as a mask. I’m all for the AMO helping return ice to the level it was 30 years ago, but don’t see it happening. Much heavier precipitation is already being seen here in Illinois. Corn seed has been washed away twice this year in Mercer County. Everybody: Be sure to call AND email your senators and the president about GW at least 3 times per week. If you live near D.C. and can spare the time, go to the Senate and actually lobby. Thanks everybody who has added very interesting links. Go there now and comment on the NYT coverage of GW. Good question. Out of curiosity and strictly as a non-expert I decided to look up the data and see whether it exhibited the kind of behavior that you suggest. And while it would take someone with a better background in statistics than myself to say just how significant it is, from what I see there is a quasi-periodic phenomena similar to what you suggest — although it is superimposed upon a larger trend. As one would expect, the underlying trend would appear to be distinctly nonlinear. I give the quadratic trendlines, the formula and R-squared for both the Atlantic Ocean and North Atlantic. Good talk. I’m interested in learning more about Prof. Barber’s remarks in the beginning concerning new satellites being able to monitor ice thickness. Are there any good references for how this is evolving and how good are current methods for doing this? 1. NASA’s Icesat completed a 7-year mission in October 2009. Currently in a six-month calibration phase. GRACE just had its service mission extended until 2015.
ccpo sees this of course, but it might help to point out that the “heat store” that Tim Joslin refers to in 7 as needing to be “recharged” if “heat transport” is to be “sustainable” is in fact the “ocean heat content” that ccpo is refering to. And ccpo is quite right — the ocean heat content is far more important in terms of driving the earth’s climate system than atmospheric circulation or land and atmosphere heat content. The heat content anomaly of the atmosphere and land relative to 1950 amounts to less than 10×10^21 joules. The ocean? 200 x10^21 joules, easily more than 20X that of the land and atmosphere combined. Just looking at the “heat stores” that are the Atlantic and North Atlantic Ocean heat content. But what is ultimately driving this is an imbalance between rate at which radiation enters the climate system and radiation leaves it. A lower albedo means that less light is scattered to space and more light is absorbed, heating the system, then radiated as thermal radiation that the atmosphere is partly opaque to. As long as the imbalance exists the heat content of the climate system will rise. And carbon dioxide reduces the rate at which thermal radiation leaves the system. … where thicker carbon dioxide over industrial centers means that infrared radiation in certain electromagnetic bands isn’t able to escape except at higher, colder altitudes. Consequently the climate system has to heat up until it is able to compensate for an atmosphere that has become thicker (“more opaque”) to thermal radiation. At that point a new equilibrium is established at a higher heat content and higher surface temperature. The most significant immediate result of the collapse of Arctic sea ice that now seems to be underway is the likely acceleration in the melting of the very shallow sea bed in the continental shelves, especially those north of Siberia. The resulting dissociation of methane hydrates, and the release of huge stores of free methane below, would be a significant “discontinuity” that could discontinue all of us. Re. ccpo #13: Actually, I agree that oceanic heat transport is more significant than the AO wind patterns. I touch on this a bit more in another post on my own blog, where I try to clarify the one I referred to in #7. The oceanic transport of heat poleward is driven by temperature differences. My point is that the strength of the circulation process (i.e. the thermo-haline circulation, or THC) must, logically, be variable, and is perhaps cyclic. Specifically, I hypothesise that this is the case on decadal timescales. When polar waters are covered by insulating sea ice, heat can’t be lost from the water except by melting ice from below. Unless the ice melts through, most of the heat is retained in the water/ice layer rather than released to the atmosphere or radiated away. Heat therefore builds up underneath a thinning ice layer. The situation is quite different for areas of sea which are ice free at the start of winter, where the surface waters can cool more rapidly. This process and in particular saline deep water formation accompanying freezing not only releases heat from the water but also strengthens the oceanic circulation. I disagree that “the imbalance of heat transport onto and off the planet doesn’t change because of the AMO”. The “heat transport off the planet” is affected by surface changes. These include the positive albedo feedback. I suggest, though, that there is a negative feedback as well – melted sea ice allows more heat to escape from polar oceans. The changes in wind patterns – the Arctic Oscillation (AO) – are a consequence of the flow of heat. I hypothesise that a weaker AO results from more heat being released to the atmosphere where sea ice is absent (or thin and fragile), most significantly at the start of winter. As this also results in more snowy NH winters, surface albedo effects (reflection of light from lying snow in spring) might be another negative feedback. I’ve put a proof of principle calculation on my blog, but obviously more work is required to determine whether and the extent to which the effect of areas of increased snow cover in weak AO winters outweighs that of areas of less snow cover. Increased export of sea ice along the E coast of Greenland during weak AO episodes may also be important, as this allows more ice to form the next winter. It may also prevent the Arctic waters from freshening, which would tend to reduce the formation of deep saline water. A little more detail here. TimC #15: “Out of curiosity and strictly as a non-expert I decided to look up the data”. Ditto: I looked at the CET (Central England Temperature) record over a longer timescale and provide some plots here and here. Sudden series of cold winters from 1740 and 1940 after periods of warming cry out for an explanation. It would dramatically improve the credibility of climate change forecasts if it becomes possible to do better than dismiss such socially important phenomena as “natural variability”. My main point is that it may be unwise to point the media at the short-term Arctic sea ice record in the unqualified way that is happening. Are there any implications from this for calving (ablation/disruption) of glaciers? Does the nature of the ice’s volume (thickness) throw on new light on the ability of GCMs? I am presently and have been for some time having a debate with one IPCC member and one other climate related person who both appear to totally deny the entire idea of the idea of a global mean temperature as data sources and methods of normalisation (for want of a more accurate word) are incorrect and show bias towards warming. I cant convince them of AGW world because they both are Oxford educated and see me as some oik even claiming then RC is biased towards warming and the memebrs of RC are not are suitable intellectual rigour etc. I have read every article here and more besides but intellectual snobbery seems to abound and there seems to be IPCC members who flatly deny AGW for a plethora of reasons especially when it come to climate gate etc. This presentation yestersday and the recent 2010 temperatures thus far this year along with Arctic amplification appear to even be overcoming the reticence and conservatism of even the most AGW scientist assessment. However its not only deniers that cannot be turned, its also climate science people by the looks of it. IPY year material seems very good to me and a testing time for deniers especially concerning ice extent and thickness. The AO is very strongly related to atmospheric pressure at 80-90°N. A negative AO corresponds to high pressure at the pole and weaker pressure at latitudes between 50°N to 50°S latitude. So, we are talking of a shift in the atmosphere here, and a plot of pressure over time will reveal the oscillation. Currently, polar pressure is increasing and it has been doing so since 1990 in the Arctic and about 1999 in the Antarctic. Looking at the episodic short term shifts pressure can be seen to increase and decrease at both poles simultaneously. As atmospheric pressure increases at the pole/falls at low latitudes so also does tropical sea surface temperature and global temperature. So, its possible there is a weakening of pressure in the subtropical high pressure cells as polar pressure increases and a resulting increase in cloudiness at lower latitudes. Seems that this is what one might call a ‘natural climate oscillation’ with a period of sixty years or more. If it’s OK I’d like to point out that I recently started a little blog that concentrates on news and data concerning the Arctic sea ice. I’m writing regular updates on sea ice extent, minimum sea ice extent predictions by scientists and laymen, interesting theories, and things like the influence of the Arctic Oscillation. I’ve linked to this article in my latest SIE update. I’m hoping the smart people will come over and liven up the comment section with explanations and interesting remarks during the 2010 melting season. 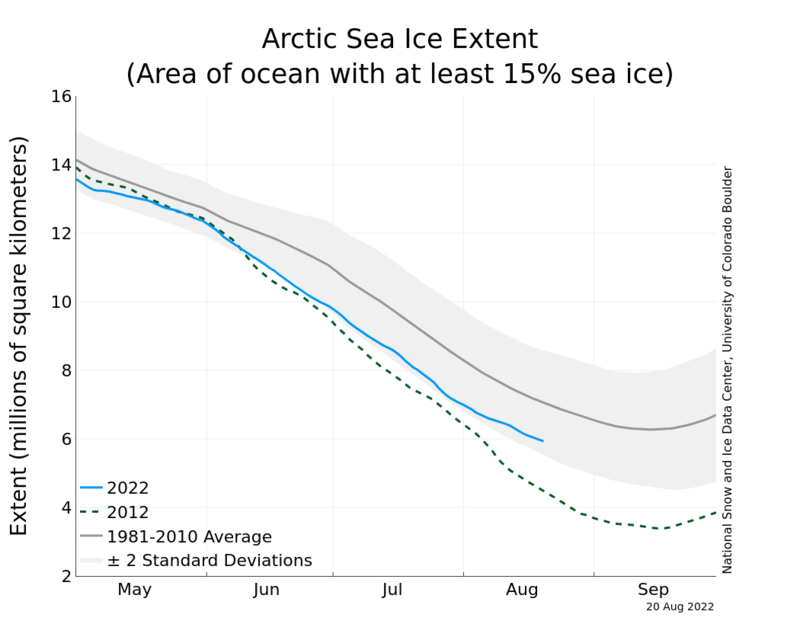 However, it’s fine to use the Arctic Ice record data we have, which gives the same picture. What’s unqualified and unwise is to point to your feedback mechanism and posit that we’re going to get a return to 60-year-old ice extents “any day now”, based on partial physical models. Unfortunately, media failure in science is not a new phenomenon. BBC coverage of science has always sucked. It appears the BBC tends to attract the artsy-fartsy contingent of Snow’s Two Cultures. Fortunately they have no memory as well as no processor, so they will reset as soon as they have a hot summer. Thank you for explaining how melting ice is actually a sign that things aren’t getting warmer. Can you even keep a straight face while you type this stuff? Re #23, Thaks for that feedback Gavin, it is appreciated. Thanks for posting the links to the conference videos! I hope you do the same for any other climate related conferences. There is probably no good way for a lay-reader to keep apprised of these events, so that is a gap-filler which I appreciate. And while a bit short on details, I found Mark Parsons talk on data availability interesting. On the other hand, I was pretty disappointed when I tracked down the site: http://piccloud.arcs.org.au/piccloud/DataSetFindForm . Huge lists of keywords with no data sets behind them. I never “posited” anything of the sort. Basically you’re misrepresenting what I’ve said, which is a little rude. And btw, all the “physical models” we have are incomplete, which might be a point worth bearing in mind. Where I started from (see my blog, op cit in #7) was the seriously detrimental effect on public opinion, vis-a-vis action on GW, of the recent cold NH winter, especially when the odd climate scientist was on record saying that such a thing would not happen. What I’m trying to gently point out is that I frequently read in the UK and other media that (to paraphrase) “the Arctic sea ice is disappearing even faster than expected”. Encouragement seems to be being given to the unjustified logical leap from this to “GW is worse than expected”. Since there’s a credible school of thought that suggests Arctic sea ice melt (strictly, reduced summer extent) is affected by natural cycles as well as GW, then, if it turns out that the melt has overshot – which is, after all, the sort of thing that happens in complex systems, cf the economy – then we’re simply inviting the public to conclude for as long as headlines read “Arctic sea ice disappears slower than expected” – which could be a decade or so – that “GW is not as bad as thought”. Or worse, if the ice stages a recovery. The scientific significance of month on month changes in Arctic sea ice extent is minimal, but it’s being reported as if we’re watching a football match. Putting myself in the shoes of the average Daily Mail reader, what’s coming across to the public is that melting Arctic sea ice is supposedly proof of GW, but the recent cold winter is “natural variability”. Since, to a layperson, this is obviously inconsistent, it doesn’t add up to a very persuasive message. All I’m trying to get across is that it might be worth mentioning occasionally that internal variability in the climate system (e.g. 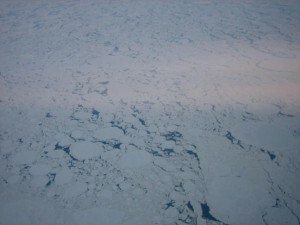 the so-called AMO), as well as GW, could influence the extent of Arctic sea ice. Re Gavin’s response to comment 24. As I said: “a plot of pressure over time will reveal the oscillation”. I will delve into these links as soon as time permits. I’ve been waiting a long time for this conference. IPY was bound to be significant because many of the rebuttals of AGW information were based on lack of field data from the poles. From what I’ve read here, Antarctica did not reveal any long term warming trends, but I suspect there is strong localized warming and the instrumentation is now in place to detect any changes anywhere on the continent, especially the speed of ice flow from the inner continent outward. I think we all know that, long before it gets warm enough to melt, Antartic ice sheets will migrate toward the sea as the ice becomes less rigid. We will be able to measure that flow. So, for some years at least, Rush and others will say “warmer in the Artic, colder in the Antartic. Doesn’t sound “global” to me”, that is until we report real losses of ice mass and real increases in migratory speed. And somewhere along the way, it will be understood by more and more current deniers that the properties of ice sheets that is one mile high are different from those at sea level. We’ve always known that Antarctica would be the last to go, and that it wouldn’t be a “signal”, it would be evidence that the rest of the planet is well into the melt phase. Which it clearly is. 2010 may very well be the next “spike” year that we’ve been waiting for since 1998. I know it’s coming soon. We can’t help the fact that deniers want to use bad math and compare one year to a decadal average, but we will be happy to use their very own methods, once 2010 is in the books, to show them how the warming has suddenly “reappeared”. Try as I might, I have never been able to find an illustration which shows the permafrost band at the top of the planet, and how it may have changed over the years. If I’m not mistaken it is on a retreat, and it would be quite useful, I would think, to compare that band on the same date every year. Does such an illustration exist? No, you left out the physics and said it could reverse any moment now. Yes. Definitely too generous of you. Not a map, but is CALM of any use at all? Most references to the AO seem incomplete, and one can’t expect several paragraphs to explain it in the top post. I want to mention though that whether a winter seems cold or warm depends on location. This past winter was quite warm overall but cold in places, due to a very strongly negative AO on top of El Niño. The largely wind-driven Gulf Stream went farther north along the east coast than usual. Not so much ice was blown out of the Fram straight, but the warm water underneath got to it. Some people (not here) seem to think that when the AO is negative, upper atmosphere descends over the arctic and cools and rushes south. This does not seem to be the whole picture. Warm surface air moves north along western North America and perhaps along the east at sea. So what’s my point? Just trying to stir up some input on the AO. Karsten @ 11: Very good points about the current situation in Norway, (and the rest of Scandinavia, by the looks of it). One single winter with normal temperatures and the place turns into a denialist hotspot of epic proportions. An overwhelming amount of reports of “climategate” nonsense and long debunked BS regurgitated by people who should know better (and probably do know better). I can count on one hand the number of articles mentioning the record breaking global average temperatures over the past 6 months. Funny thing is, when you explain the high global temps and the reason for the cold winter temps (AO), most folks actually grasp the point. Problem is that the press basically don’t mention these things. Makes you wonder why. The local “it’s the sun” guys have turned quiet, though, after receiving an unjust amount of press last year, during the La Nina. With global average temps at record high levels during an almost record solar slump, that theory doesn’t quite carry the same punch anymore. If the press would spend as much time on things like the dramatic failures of the “sceptic’s” cooling predictions from 2008 as they do on reporting on minor issues in the vast IPCC report, we would see a rapid change in the public opinion. Erl Happ # 24 You may be thinking of the AMO – Atlantic Multidecadal Oscillation. Walt@33: For the sake of political action that will help lessen future warming, a record setting 2010 is crucial. However, considering the weather related luck of the denialists (AO causing cold temps in NA and Northern Europe, record snow right in DC, etc) it would not surprise me if a coming La Nina brings the temps down so that 98 barely stays on top. A few more years and the 98 record will be absolutely shattered, but that would be a few more valuable years with political inaction. Even though GISS, HadCruT and RSS temps should break the record, the endless series of adjustments to bring the UAH anomalies down will most likely make sure the UAH numbers stay slightly below the 98 record. 1998 is no longer on top. 2005 and 2007 exceeded it, and 2009 probably did. What we’re all waiting for is not the next record year; they occur with regularity. No, we’re waiting for the next SPIKE year. 1998 was .26*C warmer than ANY PREVIOUSLY MEASURED YEAR. We are waiting for the next one of those. 2010 might be the year. If land temps come in at .9 or more above the mean, it would be a leap of at least .13, which is only half the 1998 leap but would still be enormous. I have a hunch that one of these next several years will be a full degree above the mean. When that happens, I think we’ll see some headlines. ENSO seems much like a better Oscillation, I live in the Arctic and its a curiosity which a few find interesting. I don’t see much into it, As pressure systems usually move around very fast, sometimes they hang out at the same spatial location for a couple weeks at best. with warming the planet. El-Nino during NH winter, La-Nina during NH summer. 1998 had also a strong La-Nina for bottom half of that year. As far as deniers having luck? Beats me, they don’t know that more snow during winter implies a warmer atmosphere. Is it lucky to be ignorant???? True that 05 and 07 beat 98 in most of the datasets. However, with the UAH data being the skeptics dataset of choice, that is the year that gets repeated exposure in the media. It is not until the UAH dataset breaks the 98 record that the “no warming since 98” meme endlessly repeated by the media, will go away (one must hope). Unfortunately, in the eyes of the general public, snow means cold. Easy point for the skeptics. The simple fact that warming means greater accumulation of humidity in the atmosphere, thus more snow in the winter, isn’t considered by many. #43 Esop, They are not lucky then, these skeptics are doomed to believe in nonsense. Only to those who really don’t know what snow is. EVERYONE who has known frequent snow knows “it’s too cold to snow”. It’s those who never really have snow except on the rare occasions that don’t (and then it’s easy to talk to some old-timer who knows it, or read up yourself: this IS supposed to be “the information age” isn’t it?). But arguing against more snow = warmer weather is a great talking point and comes across easy to those who DO NOT want to know what’s going on. It is, however, a great noise, all sound and fury, signifying nothing. That’s a problem with the Media being denialist. And THAT is a problem of the people who don’t take them to task. True — and this is why when winter comes after a great melt ice will return more rapidly. Without the arctic sea ice covering it the ocean cools off much more quickly and then the ice forms just as when breaks in the ice in late fall and early winter will release a great deal of steam prior to freezing shut, and as we have seen in recent years the winter extent will tend to be greater. But this is on an annual level, and we are talking about new ice and first year ice. You have yet to propose a credible mechanism that would result in something on so much as a decadal scale. The same would seem to be true of your snowy NH winters. Annual, not decadal. Ditto: I looked at the CET (Central England Temperature) record over a longer timescale and provide some plots here and here. Sudden series of cold winters from 1740 and 1940 after periods of warming cry out for an explanation. A stratospheric volcanic eruption by Tarumai at 42.7 latitude with a volcanic explosivity index of 5 in 1739 followed by Oshima-O-Shima at 41.5 latitude with a volcanic explosivity index of 4 in 1741 perhaps? Stratospheric aerosols similar to Pinatubo will stay up in the stratosphere for a few years, VEI is a logarithmic scale, and volcanos at lower latitudes tend to have a greater effect upon world temperature. Additionally, as you are taking your temperature readings strictly from central England, I would remind you that the smaller the region the more variable temperature tends to be as less of the variability is averaged out in accordance with the law of large numbers. The “smooth” versions show that while the northern hemisphere did indeed cool for several decades mid-century, the southern hemisphere did not — exactly what we would expect from sulfate-aerosol forcing. In fact, the smoothed version tends to smooth the very brief southern-hemisphere cooling a little too much; the annual numbers show that the southern hemisphere mid-century cooling is pretty much confined to a single year, from 1945 to 1946. The data that I looked up shows a “discharging” and “recharging” of “heat stores” — primarily the heat content of the North Atlantic Ocean. And for several years the mid-year heat content will be above the background trend, for several years it will be below. As such the system seems to has memory, pink noise as opposed to white. Common in natural systems. Changes in ocean circulation, perhaps. However the underlying trend in North Atlantic Ocean heat content would seem to be pretty clear: increasing with a quadratic trendline that has an r-squared of 0.92. It is increasing at an increasing rate. It would dramatically improve the credibility of climate change forecasts if it becomes possible to do better than dismiss such socially important phenomena as “natural variability”. Moreover, when climatologists attempt to match the behavior of El Nino by means of physical equations or to explain the temperature record by reference to such things as anthropogenic aerosols they aren’t simply positing that enough existed at one moment or another to result in a given effect. Instead there are studies, both in terms of economic history and the contamination of ice cores by industrial aerosols in annual layers of packed snow that independently establish what the aerosol levels were, where they were being produced and even how they were being distributed by atmospheric circulation. And this is taking place in peer-reviewed literature. They aren’t simply waving their hands and dismissing things in terms of natural variability or anthropogenic for that matter. However, for someone who is simply looking at the trends such as you or I it helps to keep in mind the fact that there will be variability — but the actual scientists do in fact seek to explain that variability in a detailed fashion in terms of how energy flows through the system. Do you think this criticism is applicable to David Barber – the fellow whose talk is the subject of discussion in the above essay? Seems to me he has had his boots on deck and on the sea ice in the arctic a great deal recently. He isn’t considering simply the albedo or even the spectra of ice as measured by satellite — looking only at its surface — but has been busy poking holes in it to see what’s underneath. Re #38 Pete Dunkleberg You may be thinking of the AMO – Atlantic Multidecadal Oscillation. No, I am not. I am looking at the data and seeing the oscillation. After 1978 the AO index is relatively high from November to March representing a failure of atmospheric pressure to rise at 80-90°N to the extent that it had in prior years. Relatively high pressure in mid latitudes and low pressure at the poles translates into a movement of warm air northwards in winter. That is now reversing as atmospheric pressure at the poles gradually recovers. Meanwhile Arctic sea ice extent went below the 2007 minimum around mid May and has stayed that way. Given that this started before we should have started seeing strong El Niño warming effects (SOI hit a relatively strong negative around June 2009, and as I recall there is a 12 month lag before this translates to a temperature peak), it looks to me very likely that this will continue through to the peak of the melting season. A new low in sea ice extend coming out of a deep solar minimum is not good news. I actually said the amplification effects are potentially exaggerated. It is obvious from my statement that I acknowledge it is getting warmer in the Arctic, how can you exaggerate something that does not exist? The point of my post was that GISS is the only major temperature data set that covers the Arctic, and it is the warmest of the data sets because of the Arctic amplification effect it reports. I provided a rationale as to why the GISS method may overstate the polar temperatures. Gavin replied, politely, that I was overestimating the local effects on the Pan Arctic mean. It seems to me that extrapolating shoreline data 1200 km across the Arctic does precisely that kind of overestimation. 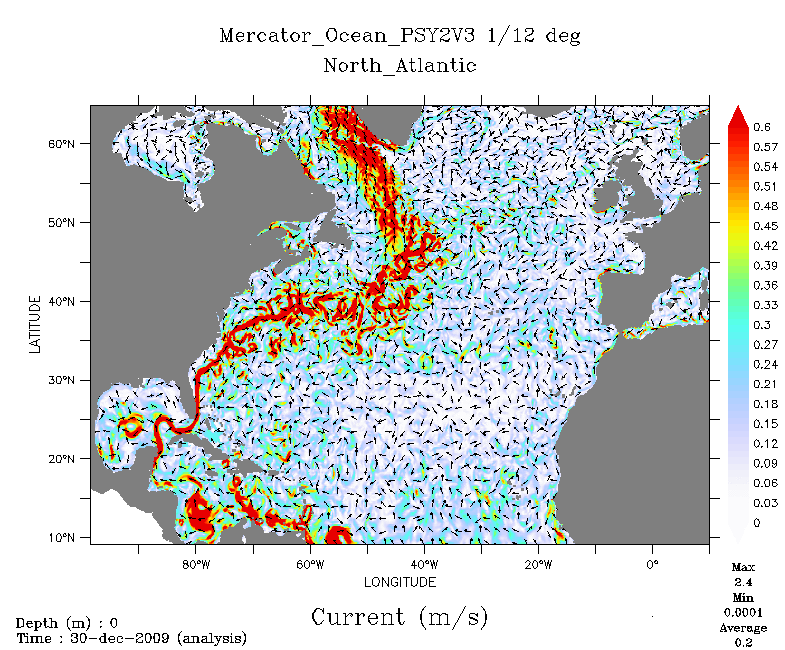 I was told that buoy data provides an independent check on the GISS method of extrapolation. I have never seen such data but would be quite interested in reviewing it if available. It seems obvious to me that a shoreline temperature station abutting sea ice would read a lower temperature than a station abutting open ocean as sea ice by definition is colder than sea water. While the temperature at the station abutting open water shows a real increase from its former frozen state, I contend it does not represent conditions 1200 km away on the ice pack.